^Thank you! Yes, they did. And I wasn't sure to whom I should attribute them. (I have your mailing address, of course, but I didn't see your forum nick on them.) There are still four more people in route that I'm aware of, so we're not quite done yet. But almost there. Gangers looking very ganglike with a definite theme well done all! 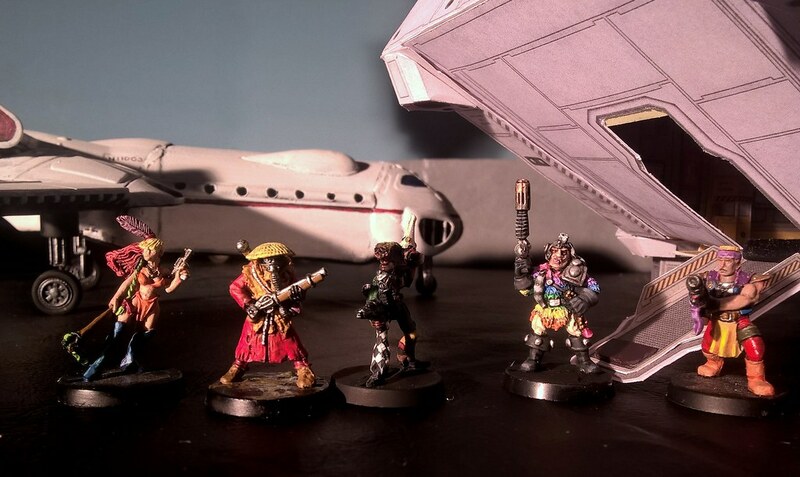 Thanks to Zero Twentythree for the ruffian and captain and OuteRimTim for the Rainbow Warrior marine. that looks great, the colours really work well together. any more for any more? if not, can someone volunteer to do a prize draw? Yeah, sorry, not going to get mine in. And, with thanks to Blue in VT for rolling the sacred Oldhammer random decision engine, the winner of the drawing is OuterRimTim. The rest of us can begin weeping now. Thank you all. Will see if I can't get an icon ginned up now for our signature lines. It has been an honor to help facilitate this. Congrats to OuterRimtim on the win and thanks to Symphomicpoet for organising a most enjoyable event. Thank you symphonicpoet for all the organizing work. Thank you, all who participated. I'll admit I'm very excited to see all these models in person, they look lovely in the photos. 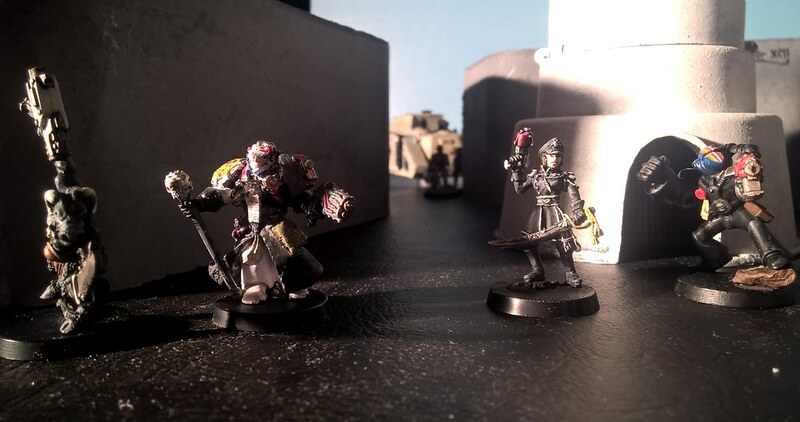 I will of course post some photos of the models once based, and as they make forays into various underhives and decrepit corners of the galaxy.